In 1962 I was born in Columbia, LA. to Ron and Jean Ostten. My mother was saved in a Revival Meeting in Louisiana a few years before. Her influence and testimony helped win my father to Christ and eventually all five of us children. I was saved while we were on deputation at the age of eight. We were missionaries to New Brunswick, Canada from 1971-76. In 1976 my father then accepted the pastorate at his home church in Slidell, LA. There at 16 years old I surrendered to preach and later completed my Graduate of Theology at our church college. Connie Fremin and I were married August 6, 1982 in Houma, LA. where she was saved as a teen. God gave us a wonderful son on July 2, 1985. Ephraim was saved as a boy and is presently serving the Lord. I have been a pastor’s assistant for ten years while mostly working in Christian schools. I pastored two churches for 16 years. One church in Kansas we were at about two years. Later God moved Connie, Ephraim and I to the Bible Baptist Church, El Reno, OK. We were there almost 14 years and resigned June 18, 2006 to go into fulltime Evangelism. The church was helpful and was a big part of our recovery from Kidney Transplantation on August 12, 2004. I was able to donate Connie my right kidney and God performed many miracles. Many churches have had us in on our first year and we look forward to seeing more saved and churches helped in the future. We are members of the Southwest Baptist Church, OKC, OK. where Bro. Jason Gaddis is the pastor. Connie and I presently live in El Reno and she can travel with me only occasionally. We have a preaching, singing and book ministry. Feel free to contact us about a meeting or service in your church. 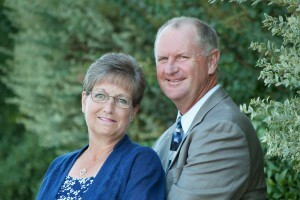 We desire your prayer and financial support and hope we can assist you as the Lord leads.